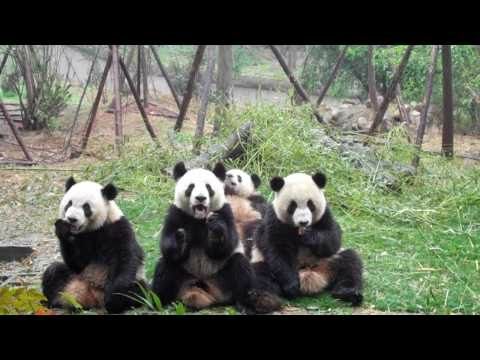 List Rules Vote up the cutest and most interesting facts about panda bears. 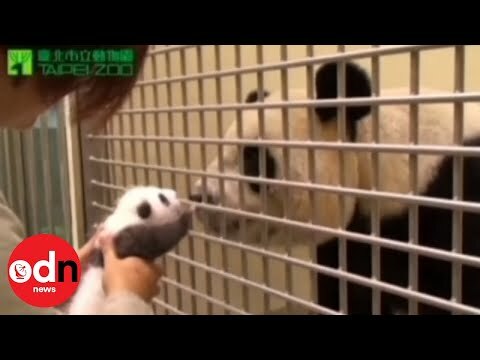 A quick search for 'adorable panda' on YouTube won't disappoint - there are hundreds of thousands of videos, and playlists that may cause cuteness explosions. While we all know panda bears are black, white, and fluffy all over, there are a number of things about these adorable beasts that might surprise you. For instance, it's more than looks to help them survive in the wild - from extra fingers to cat-like vision, pandas tackle the jungle head on. Or, at least they try to, but probably end up rolling down a hill. Baby pandas are born completely pink, the color of their skin, with just a thin layer of barely-visible white hair. These little pink nuggets can't open their eyes for 6-8 weeks; they're 100 percent dependent and helpless, which ups the adorable factor quite a bit. "Oops, I fell asleep again." Panda bears are the kings and queens of chill. They live a stress-free, relaxing lifestyle, and can sleep literally anywhere. 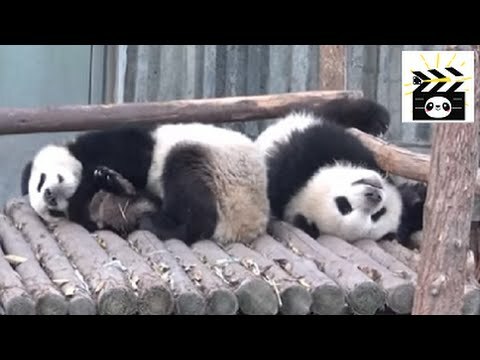 Sometimes they go up in trees to nap, but mostly they pass out where they stand, falling onto their back, belly, or side, or rolling into a cute panda ball. Panda bears walk pigeon-toed. This means their feet face inward, toward each other. It makes them look clumsy, like they are always on the verge of tipping over. While this is totally adorable, it's somewhat misleading; pandas are anything but clumsy - they move swiftly and quietly, despite their odd strut. Panda bears don't get that cute fluffy-chubby look without working hard. They spend 14 to 16 hours a day eating in order to achieve the ideal bod. Given the limited nutritional value of bamboo, pandas have to eat almost constantly in order to stay healthy and fit. Sounds like a tough life.